The United States Air Force is considering incentives for its drone pilots, a leading Pentagon official now says, following reports that America’s fleet of unmanned aerial vehicles was approaching a “breaking point” over a reported operator shortage. "We're looking at incentives of how we maintain people in the career field and how we incentivize growth in the career field … to give them bonuses similar to what I received as a young major, my pilot retention bonus," Col. Ray Alves of Air Combat Command, an former F-16 pilot-turned-MQ-1 Predator squadron commander, told reporters on a conference call on Thursday, according to the Military Times. According to Alves, Stars and Stripes reported, the Air Force only has around 85 percent of the number of drone pilots desired by the Pentagon, and that statistic is getting smaller. “We are maxing out our training pipeline right now,” Alves said, but that influx is no match for the surge of drone operators leaving active duty. Now in hopes of reversing the trend, Alves suggested to reporters that the Pentagon could soon approve a plan that would aim to reward military personnel potentially pursuing UAV positions. "We are looking at a lot of different things but there is no specific or final decisions made,” added Capt. A.J. Schrag, a spokesperson for the ACC, to Military.com. “All we have is a couple of discussions going on about what we could pursue to improve the manning situation." 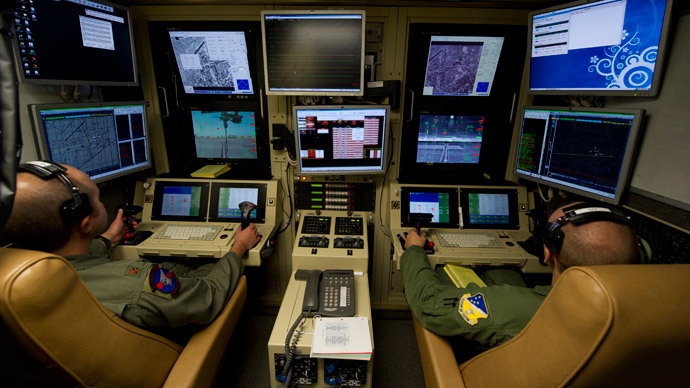 Reports of a possible incentive plan emerged only four days after an internal memo acquired by The Daily Beast suggested a lack of drone pilots within the unit was threatening the “readiness and combat capability” of America’s UAV fleet. Last April, a report produced by the US Government Accountability Office determined the Air Force “faces challenges to recruit, develop and retain pilots and build their morale,” and that drone operators regularly report feeling “stressed” and “demoralized” as a result of their work. Many pilots “noted that they would prefer to deploy-in-theater for 6 months with a clear end point and be separated from their family and friends rather than be deployed-on-station for 3 or more years,” the GAO reported, suggesting Air Force personnel are more quickly drained from performing drone duty in a remote command station than actually in a cockpit abroad. “The Air Force has not fully analyzed the effects on morale related to being deployed-on-station, and thus it does not know whether it needs to take actions in response,” states the report. The Pentagon has previously offered fighter pilots up to $225,000 in Aviator Retention Pay in exchange for a nine-year commitment with the Air Force. Alves told Military Times this week that remotely piloted aircraft operators may soon see similar perks.